As anticipation for the 2019 USL Championship season builds, expectations for both clubs and individual players are coming in to focus. Whether it’s those coming off a big season, or the ones looking for their breakthrough moment, the 2019 season is jam-packed with compelling storylines. Here are 10 players set to feature in the USL Championship this season who, in my opinion, have the most to prove as they get set for the new campaign. After making 77 appearances for Toronto FC II over the past four seasons, Luca Uccello joined expansion side Memphis 901 FC this offseason, likely aiming to find a new path in a career that has shown potential from the former Canada U-20 international but not the consistency that TFC had hoped for when he turned professional in the USL Championship prior to the start of TFC II’s inaugural season. A new environment, especially at a club with a blank canvas to work with, could be just what the 21-year-old needs to find the level he’s been looking for, and it’s hard not to think of a player in a similar situation who made a similar move three years ago. That’s not to say that Uccello’s path is going to mirror that of his former TFC II teammate Mark-Anthony Kaye, whose two-year stint with Louisville City FC led to first a call-up to Canada’s full national team and then a move to Major League Soccer’s Los Angeles FC, but that surely should be the ideal scenario Uccello is looking to set himself up for starting this season. As someone who made two appearances for the United States U-20 National Team at the 2013 FIFA U-20 World Cup alongside the likes of current full internationals Zack Steffen and DeAndre Yedlin, the path for Javan Torre since then has been one of a player searching to find the next level in his game. A four-year performer for UCLA collegiately, where he made 56 appearances overall, Torre was selected in the Third Round of the MLS SuperDraft by the Colorado Rapids in 2016, but after that didn’t pan out he headed to Germany in 2017 to play for FSV Frankfurt. There, he made 24 appearances in the Regionalliga Sudwest and scored once before returning to the United States last summer. Now he’s with Lights FC under the tutelage of Head Coach Eric Wynalda. At 25 years old, there’s a clear chance for a fresh start here and potentially a chance for Torre to flourish. As a First Team All-American for St. Louis University in 2014, Robbie Kristo elected to bypass Major League Soccer and begin his professional career in Europe, but after four years he returns to the United States to re-energize his career with Head Coach Dave Sarachan’s squad. Kristo most recently competed for 3. 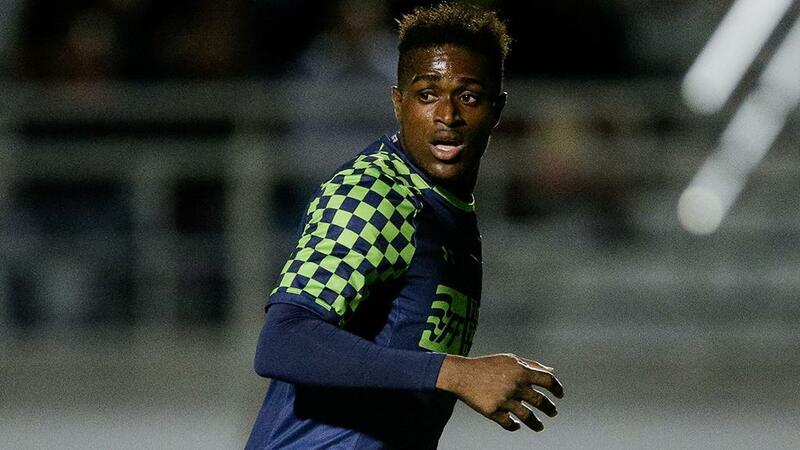 Liga club VfL Osnabrück in Germany, where he made 25 appearances for the club, but with a 6-foot-5 frame and the pedigree he brings from his college career, he’s an intriguing prospect as North Carolina looks to make its first trip to the USL Cup Playoffs this season. A breakout season with NCFC could give the 26-year-old a chance at a career renaissance after recording only three goals in 48 appearances during his time in Europe. In another time, it could have been so much different for Conor Donovan. A Generation adidas signing ahead of the 2015 MLS SuperDraft, the now 23-year-old was selected by Orlando City SC with the first pick of the Second Round and then caught a chance to join the United States U-20 National Team at the 2015 FIFA World Cup, a tournament that saw the side reach the Quarterfinals before falling in a penalty shootout to Serbia. But 14 minutes into his MLS debut that August, a torn ACL put paid to the rest of that season and provided a setback he’s still in some ways looking to come back from. That appearance for Orlando still stands as his lone MLS appearance, but he has played 62 games over the past three seasons in the USL Championship, including 27 last year for Rio Grande Valley FC. Promoted to the Houston Dynamo’s roster in midseason, Donovan didn’t see top-flight action in 2018, but now back with the Toros to start 2019 there’s the hope that this is the year when it comes good for a player whose potential remains somewhat untapped. Since he became the youngest signing in Chivas USA’s history (aged just 16 years, eight months) in 2013, there has been no question of the potential Caleb Calvert possesses. Yet, aside from what looked like a breakout season on loan with the Charlotte Independence in the USL Championship in the 2016 season – a season that saw him score six goals in 21 appearances – progress has stalled. After logging just 35 minutes in MLS last season for the Colorado Rapids and scoring just once in 18 appearances on loan with Charlotte, Calvert gets a fresh start with Saint Louis FC this season as part of an attack that has some strong weapons led by returning standout Kyle Greig. STLFC will be hopeful the 22-year-old can finally break through for his best season yet and start to live up to the promise his early career held. As one of the Tampa Bay Rowdies big midseason arrivals as the club looked to make a run at the 2018 USL Cup Playoffs, there was a lot of expectation placed on Kwadwo Poku after his previous exploits in the United States. A return of only one goal and one assist in 16 appearances, then, didn’t feel like it was the return the club had hoped for as it missed the postseason in one of the more surprising storylines of the season. It wasn’t necessarily all bad news for Poku in a Rowdies jersey, his 27 key passes placed him fifth on the team for the season, but given his past performance at New York City FC there will be a lot expected of the 26-year-old Ghanaian as he gets ready for his first full season at Al Lang Stadium. Given those stakes, it wouldn’t be at all surprising to see Poku play his way to the forefront of the Rowdies’ push for a return to the playoffs. Joining Head Coach Nikola Popovic in making the move from the Swope Park Rangers to Ottawa Fury FC last offseason, there was the hope that Kevin Oliveira would provide the playmaking influence in the final third that would help Ottawa’s attack thrive in its second season in the USL Championship. But while the Cape Verde international made a career-high 31 appearances, his two assists registered lower than either of his seasons with the Rangers, during which time he logged nine assists over 33 contests for Swope Park. Returning for his second season at TD Place, Oliveira should be out to prove that last year was a blip in his progression. After being named the No. 2 player in the 2016 USL Championship 20 Under 20, the expectations certainly could to be there for the 22-year-old to move into the upper tier of attacking midfielders in the league as he showed himself capable of in his first two seasons in the Championship. The past two years have seen former Jamaican international Deshorn Brown play for four different clubs, but after signing late last season with OKC Energy FC through 2019, there’s a hope that being in a settled environment will bring the best out of the 28-year-old. Brown had bright moments with the Tampa Bay Rowdies in the USL Championship before he joined D.C. United midway through the 2017 season, but the best form of his professional career came when he was working with current Energy FC Head Coach Steve Cooke at the Colorado Rapids shortly after joining the professional ranks. Brown scored 20 goals in 61 MLS appearances across the 2013 and 2014 seasons before heading overseas, and with Energy FC likely looking for him to provide the focal point of its attack as it seeks a return to the postseason this year, the spotlight is going to be trained on the 6-foot-2 forward. The stars had seemingly aligned for Angulo last season in OKC. The former USL Championship Most Valuable Player had a torrid end to the 2017 campaign, leading the side into the USL Cup Playoffs while earning Player of the Month honors for October after scoring six goals and adding three assists. Then, the bottom fell out. After just four appearances for Energy FC there was an agreed termination of his contract in June. However, the Colombian has now reunited with former OKC Head Coach Jimmy Nielsen at Hartford Athletic, being announced as one of the club’s first three signings last December. Angulo has regularly shown himself capable of success at this level, he’s on the verge of scoring his 50th regular season goal in the USL Championship, but after last year’s disappointment you can expect he’d love a big bounce-back year to lead Hartford into playoff contention in its inaugural season. As the first signing in his hometown club’s history, there’s no shortage of expectation as to what Omar Salgado could bring to El Paso Locomotive FC as it kicks off this March. For the former No. 1 selection in the MLS SuperDraft, though, the opportunity to reset his career and find the breakthrough many have been looking for since he was a 17-year-old standout on the United States U-20 National Team is now at hand. Salgado showed flashes of what he can bring while on loan with Las Vegas Lights FC last season, scoring three goals and notching two assists in 14 appearances for the side. There’s no doubt he’ll have strong backing from not only the club’s supporters and the city overall as it comes out to see its native son lead the side, meaning now is the time for the 25-year-old to take center stage. ©2019 Austin Bold FC / SportsEngine. All Rights Reserved.